Many thanks to Lizzie for writing this delightful guest post. I have heard “orphan” defined as a child who has lost one or both parents by death or abandonment. 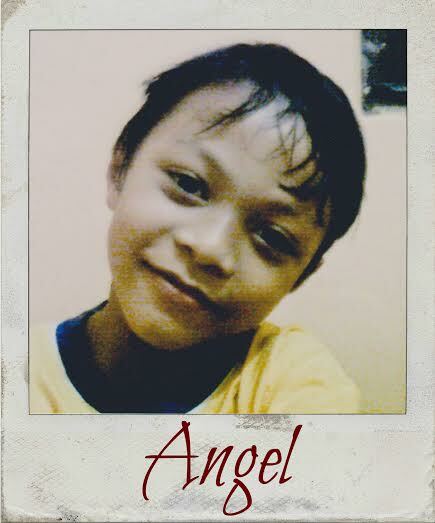 Angel (name changed for privacy) is a young boy living in Indonesia. He is an orphan, whose father abandoned him, his mom, and his little sister. Angel’s heart hurts. The pain of his father leaving has left his heart scarred. He has had to grow up and be the “man” of the family and age seven. His mom works hard, yet she cannot make enough money to survive. Sometimes, she does not have enough money to pay rent. Hopelessness weighs down on her, but her spirit is not crushed. She trusts in Jesus. She reminds Angel that “Daddy Jesus” will always love him and be with him. She is an active member of her local church and encourages her children to read the Bible. Her life is not easy, far from it! She has to search for work and make tough decisions. A few months ago, she decided to move to a different town in hopes that she would find a better job there. Sometimes, I imagine, she cries out to God and wonders why her husband left, why she can’t pay rent, why she works so hard for so little return. Yet, she tries to be strong for her children and trust God’s plan and timing. Angel respects his mom and even admires her. He loves her and wants her to be happy. Angel is also a Compassion sponsored child. His local church partners with Compassion to help meet his physical needs (through medical check-ups and education), socioemotional needs, and spiritual needs. In fact, through Compassion and his local church, he not only participates in Bible studies, but also receives character education. Angel is learning to be a man of God even though he is young. He is being encouraged to not run away from difficult situations and to look to Jesus for strength in those times. Angel writes me letter because I am his correspondent sponsor through Compassion (someone sponsors him financially and asked Compassion to find someone else to write him, which ended up being me.). He tells me about his struggles, joys, hopes, and dreams. I write him letters, too, and encourage him that his Heavenly Father will never leave him. Although I am just a teen, I am able to encourage an orphan. As others have said, we are too young to adopt or foster a child. But each of us can do something. 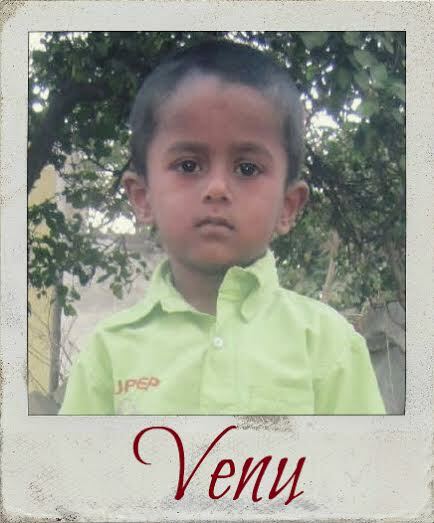 Maybe you can encourage an orphan through letter writing or even sponsor a child through Compassion…..like Venu. Venu will be five years old in five days on May 16. Because his parents died, he lives with his grandparents. They work as day laborers when work is available. But, their income is not steady, and they often do not have enough money to meet their needs. Compassion partners with a local church in Venu’s community in Bangalore, India, to provide him with a safe place to play, learn, and grow. I do not know Venu’s story. You can learn his story, will you? Being a correspondent sponsor is a commitment to write to the child at least three times a year. To request a correspondent child, go to compassion.com and contact them via phone or e-mail. Be sure to be specific in your request if you would like to write to an orphan; otherwise, you will be assigned a random child. I’m very excited to introduce you to Anna, the author of today’s post. She’s a friend of Amanda’s, and Amanda was kind enough to give her my contact information, which got the ball rolling for this post. Anna’s family is a foster family, and she has some great stuff to share. So, without further ado, here’s her post. Foster care is like a rollercoaster. It’s exciting, sometimes scary, and always worth the ups and downs of the ride. My family got on this roller coaster about two years ago, and we’ve learned so much along the way. On this journey, we’ve both answered and asked many questions, and I’ve consistently grown in my own knowledge of the foster care system. There is so much more to know about it than most people do. 1. We (foster families) are not saints. 2. We do get attached. I’ve heard that sentence many times throughout my experience as a foster sibling. People say this as if it is a bad thing. Yes, if you had children living with you full time, going through life with you and relying on you as their family, you would absolutely get attached. Getting attached is, in my experience, the most natural thing in the world. What a lot of people do not realize when saying this, is that you are insulting foster families. To say you would get “too attached” implies that we don’t. We absolutely get attached, but it’s worth it. It is worth it to show love to children who need it, regardless of how long they are with you. Memories last forever, and this experience has given me so many treasured ones. 3. There is a false idea that there are enough foster families and volunteers. There seems to be a false mindset that there are already plenty of people involved in this ministry. There aren’t. It isn’t just foster parents that are needed. Teens willing to go help out a foster mom with young kids, spreading the word to your friends, donating your old things, all are simple ways that make a difference. Prayer is a huge help. It may sound like a silly, last resort kind of option, but we have had so many people praying for us throughout our journey and I can truly say it is so incredibly important. Don’t just pray for the foster families or the foster kids – pray for the case workers, judges, biological family members, licensing coordinators, and the many others involved. I can promise you, it is greatly appreciated. 4. Foster children react differently to certain situations that many would not perceive as stressful. As a result of trauma, foster children often react to circumstances in ways you might not expect. A “fun” trip to Disney could be incredibly stressful, and family gatherings could result in a meltdown. Trauma changes the way the brain works. Many kids have developed the tendency to “fight, flight, or freeze” as a coping mechanism for stress. New situations are often triggers for this. Not every child is affected this way, but these issues are highly prevalent in the foster care community. Sensitivity and education is key for those coming into contact with children who struggle with this. 5. All of this is worth it. From the outside looking in, I’m sure we look insane. My parents had two daughters, both of whom were old enough to be fairly independent, yet they willingly took on some very needy toddlers. All of a sudden diapers, nap times, and tantrums were back on their radar. As a family, we were once only four and are now a party of six. Our car has two car seats in it, with only one unoccupied spot. Life is hectic, slightly nuts, and at times, rather unpredictable. Looking beyond that, life is also full of giggles, bedtime stories, and tiny, noisy feet. Our house would feel so empty without the two crazy boys we’ve been blessed with. I wouldn’t trade this experience for anything. People know so little about foster care. Society needs to understand what these kids go through and help make a change. Teenagers, you can make a difference. Offer your time, prayers, and knowledge. As I said previously, teenagers are the next generation. We are the next set of volunteers, advocates, and foster parents. No matter how old, young, or experienced you are, you can affect many. Educate yourself, pray for those involved, and lend a hand for change. What did you learn from Anna’s post? Share your thoughts, comments, and encouragement in the comments!